How to Jump a Car? How to use jumper cables safely? Which battery terminal do you clamp first? Positive or negative? What are the best jumper cables? What are the best portable battery chargers? We answer these questions and so much more. Sooner or later we leave our lights on, or someone we know asks for our help to get their car started, usually while they’re in a panic, so learning how to jump start a car using either jumper cables or a portable battery booster/jump starter becomes an essential skill for anyone who drives. We put together this guide for you, so you can safely get your car started and hopefully invest in the right products so you’re never caught off-guard again and if you find yourself with a dead battery you have the right charger to get your car started. Unless you’re the luckiest person in the world, you will, at some time or another, have a flat battery. Climbing into your car and turning the key, only to hear nothing or a distressing clicking sound is one of those things that can really mess up your day. This is why most people keep a set jumper cables or, even better, a portable battery jumper in their car. Despite being one of the most common and, perhaps the simplest, of all vehicle aids, people aren’t all that clued up about battery jumpers. It’s surprising to see how many people have searched on Google, asking the question: “How to jump a car?” I don’t think these are stunt men, looking for tips. This is actually people who want to know how to jump start their car when the battery runs flat. Do you know which order to connect the cables? Safety should always be your top concern. We tell you how. In this article, we’ll answer this question. In fact, we’ll go way beyond just giving people advice and safety tips on jump starting a car. I’d like to think of this article as an all-encompassing guide to everything you need to know about car batteries, jumps starters, battery charging, and maintenance. We’ll also review an extensive range of products relating to jump starting cars. These will include entry level jumper cables, booster cables, portable battery jumpers and even commercial grade heavy duty jumper cables. You’re probably already asking the question: what is the difference between jumper cables and booster cables? We’ll answer this question too. So for everything you need to know about starting your car and car batteries, you’ve come to right place. Before you attempt to jump start your car, you’re going to need the right equipment. So let’s start by looking at what’s available. After reviewing these battery jumper products, I’ll give you some tips on how to go about choosing the right one for you, as well the difference between the various battery jumper products. There’s a wide range of Performance Tools Jumper cables available. These products are intended to be affordable jumper cables for the average vehicle owner. This means that they are relatively durable, considering that they will be left in the trunk of your car most of the time. What this means is that they have quality jaw clamps and use a decent grade of copper cable. They differ from heavy duty jumper cables that use more durable metals and plastic. Because you’re not going to be using your jumper cables on a daily basis, Performance Tool jumper cables are perfect for most car, SUV, and truck owners. Spending extra on heavy duty jumper cables, when you’re only going to be using them occasionally, doesn’t make economic sense. The difference between the many options available in this line of jumper cables aren’t always immediately apparent. Whilst reviewing them, I’ll point out some features that will be of importance to you. Deciding on which gauge cables and their amp ratings, requires a little more detailed explanation. After reviewing the products that are available, I’ll include a questions and answers section. By reading through the answers to these questions, you’ll get the information needed in order to decide which of these specs will be important to you and how to interpret them. Let’s first look at the products to get an idea of what your options are. Standard duty for large cars and mid-size pick-up trucks and SUVs. Heavy duty copper jaw clamps. I’d call these entry level jumper cables. Using 6 gauge copper wire, with an amp rating of 400A (500A peak), make them suitable for jump starting medium to large cars, as well as a standard pickup or SUV. A length of 16 FT is reasonable, though longer jumper cables give you more to work with and this length could be a problem when the battery position of either car being used makes it difficult to access. For cheap jumper cables, this set is a good option. The copper jaw clamps may not be the easiest to use as the flat edge doesn’t clamp around battery terminals as easily as rounded clamps but this is a minor issue. For starting the average car, pickup or SUV, they will get the job done. For commercial and heavy-duty vehicles. This jumper cable is in quite a different league to the previous set. The 2 gauge copper cable is almost as thick as gets, and the jaws are rated for 600A with an 800A peak. The extra length you get from these 20 FT jumper cables is much easier to work with. This length is quite important because jumper cables with this type of amp rating will generally be used for starting larger diesel engines (semis, busses, RVs, and tractors). One of the benefits of this jumper cable set is the use of tangle free cable, something that makes them a lot less frustrating to use. The heavy duty jaw clamps are also more durable and practical in their design. Rubber insulated grips make them less susceptible to accidental short circuiting and the rounded jaw grip will make a better contact with most batteries. These jumper cables are great for large vehicles and will also be a better option for mid-sized cars in cold weather. Though, the average car owner won’t really need the high amps that these jumper cables are able to carry. Everyone should have a set of jumper cables in their car or truck. Heavy duty for full size trucks, vans and SUVs. For cars with a large engine and battery, as well as full-size pickups, the jaw amperage of 500A and 600A peak is just what you need. Using a 4-gauge 20-FT cable gives it the load capacity needed and the length is also better for reaching across a larger engine compartment. The clamps are similar to those on the thinner, 400A jumpers – so they’re good but not the best. These cables are also tangle-free, which is great. Of course, there’s no such thing as completely tangle-free cable but using insulation materials that don’t twist and tangle as easily, is advantageous to the user. Excellent quality means they will last for decades. Very similar to the jumper cables that we’ve just reviewed, in that these are also 4-gauge, 20FT jumper cables, with a 500A jaw and utilizing a tangle-free cable. So their vehicle applications are the same. The main difference here is the parrot style clamps with rubber insulation. These clamps are far superior to the ones used on the cheaper jumper cables with the same amp rating. For this, it’s worth paying the extra price. These make for a practical Christmas or birthday gift. Medium duty for passenger light cars & pick-up trucks. A really cheap set of jumper cables. With these 8-gauge (250A/300A) jumper cables, you won’t be starting any vehicle with a large engine. They are suitable for light passenger cars or a small pickup truck. A length of 12 FT also means you might struggle with a large engine compartment. If you drive a small compact sedan, this set of jumper cables should be enough to get your car started. If your battery has run completely flat or in extremely cold weather, you may have to wait a while for the battery to build up enough charge to start your car. You won’t be paying much for these jumpers and that would be your only real benefit in choosing these over any of the others. Heavy duty jumper cables are made for frequent use. A recovery vehicle or auto workshop will usually prefer to use heavy duty jumper cables. The main reason for this would be that they use better quality jaw clamps. When you connect the jaws to the battery, there is often some degree of arcing. This is a spark that travels through the air when the clamp comes close to the battery terminals. The heat of an electrical arc causes pitting on the metal surface of the jaw clamp. So with regular use, the jaw will wear away as the metal burns. If one is using a jumper constantly, the jaws won’t last very long unless they are made of a metal that doesn’t melt as easily. This could mean that they use a thicker metal or an alloy that has a higher melting temperature. The cable will also be made of high-grade copper that will withstand higher temperatures and won’t corrode as easily. Even people who just keep jumper cables in their car for emergencies often prefer heavy duty jumpers. Being of a higher quality, they will last longer under any conditions. Forney has really good range of heavy duty jumpers and are not too expensive for the level of quality that they provide. The 500A jaws with insulated handles are a rounded (parrot) shape and are of very high quality standard. The 25 FT cable is also highly durable, being the same as that used for welders. Thick, high-quality insulation on the cables will make them safer. These cables are rated for a temperature range from -50°C to 105°C. These will give you peace of mind. The same durable jumper cable as the 25 FT Forney jumpers with the same high-quality clamps. The difference with these being a shorter length of 20 FT. For this shorter jumper cable set, you’ll be paying a good deal less. Made in the USA. High quality. Again, this is the same heavy duty jumper cable as the other Forney jumpers. They’re a bit cheaper than the 20 FT jumpers because of a reduced length – 16 FT. Yes, you’ve probably guessed by now, this is the same high-quality heavy-duty jumper as the other Forney products in this review. This version is even shorter (12 FT) and, naturally, it’s the cheapest of the lot. So all these Forney heavy-duty jumper cables offer the same level of industrial strength quality. The price you’ll be paying is for the length of the cable. You’ll notice that the difference in price is quite substantial when you consider that you’re only getting a few feet more as the price increases. This really gives you an indication of the quality of the cable that you’re buying. High-grade copper isn’t cheap and using better insulation also adds a bit to the price. A longer jumper is obviously more versatile. Battery positions are not the same on all vehicles and sometimes it’s not all that easy to position both vehicles close enough so that the batteries are easy to access with shorter jumpers. Longer jumper cables will give you that extra maneuverability when you need it most. I’m often asked the question: what’s the difference between jumper cables and booster cables? The difference is quite simple, but it’s really a matter of definition. For starters, booster cables are jumper cables. Any cable of with a gauge thick enough to conduct enough current to start a vehicle with jaw clamps that connect to battery terminals is considered to be jumper cables. We distinguish booster cables by their ability to handle a higher load – more amps. Later in the article, we’ll be going into more detail about amps and starting a car. For now, let’s take a look at why we call some jumper cables booster cables. Basically, you can transfer charge from one battery to another with any jumper cable. The only difference is how many amps you’re able to carry along the conductor. Amp ratings given for a jumper cable usually refer to the clamp and not the actual wire that’s conducting the current. So if you use a thin gauge copper wire, you won’t have a lot of current moving from the working battery to the flat battery. Depending on the size of your starter motor, you may not be able to start your car with a thin copper jumper. Other factors will be how flat your battery is and how cold the weather conditions are. The fact is, even a low amp jumper will eventually give you enough charge to start your car. You’ll just have to wait a while for enough charge to build up. This will mean running the engine of the car that’s supplying the current until the jumpers have transferred enough power to the flat battery. If the weather is cold and your battery has run completely flat, this can take up to half an hour (in some cases longer). A booster cable is able to carry a high-amp load – usually, more than you’ll need to start your car under any conditions, even if your battery is completely flat and the weather is well below freezing point. In other words, a booster cable will start your car instantly, whereas you may have to wait some time with standard jumpers. You can’t necessarily tell a booster cable by its thickness. Most standard jumper cables use copper wire and the quality of the copper is not always the same. Cheaper jumpers will use a lower grade of copper and won’t handle the same current as a jumper of the same gauge that uses a higher grade of copper. While copper is a reasonably good conductor, it’s far from the best. Silver is probably the best electrical conductor. However, it’s prohibitively expensive for general use and is usually only used in specialized industrial applications. Some commercially available wire may use an alloy that contains some silver. Aluminum is better than copper, though not as good as silver. It’s more expensive than copper but not as expensive as silver, making aluminum wire a more commonly used as an electrical conductor. Aluminum is also not easily affected by temperature and will work better as a conductor in extremely hot or cold conditions. What all this means is that a jumper cable made of copper will have to be thicker than an aluminum or silver alloy cable with the same amp rating. So you can’t tell just by looking at the thickness of the jumper, whether it’s a booster cable or not. You also need to look at the wire. You can sometimes see the wire at the connection to the clamp – if it’s not a copper color, it’s going to be made of a higher grade conductor and will, almost certainly be a much higher amp, booster cable. A 1 or 2 gauge copper cable can be a booster cable if it’s made of high-grade copper – you won’t be able to tell what grade copper is used, though. Gauge and the metal used isn’t the only factor, length also plays a role. A longer cable needs to be of a thicker gauge to handle the same amp load as shorter one that uses the same conductive material. A booster cable for a small car doesn’t have to be as strong as one used for a truck or tractor. So the definition of a booster cable isn’t that clearly defined. The term is merely used to describe a jumper cable that is guaranteed to start your vehicle instantly if the vehicle supplying the power has a large enough battery and/or an alternator that’s powerful enough to supply the current needed. A booster cable is going to be more expensive but will save you time, especially if your battery has run completely flat and even more so in extremely cold weather. Capri tools manufacture an excellent range of premium quality booster cables and, considering their quality and application, aren’t too expensive. These jumpers are made from copper coated aluminum wire. This means that even the thinnest (8-gauge) Capri Tools booster cable will give you a sufficient current to start almost any vehicle. The advantage of using aluminum wire is both for an improved load carrying capacity (high-amps) and its ability to perform well in extreme temperatures. The jaw clamps are highly durable and have a heavy-duty spring to ensure a good grip even after many years. 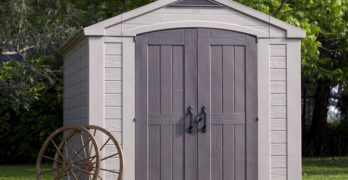 The jaws are also PVC coated and are completely insulated. A UL safety listing and 10-year warranty are a clear indication of the level of quality that you’re getting from the Capri Tools range of products. The cable gauge varies depending on the length of the booster cable. The longer Capri tools jumper cables will use a lower gauge (thicker) aluminum cable. They are rated to be high enough to supply a boost charge for any car or truck. Here are two of the most popular Capri Tool booster cable products. Capri Tools 4 AWG 20 FT : UL-Listed booster cable – A 20 FT 4-gauge booster cable. Capri Tools CP21081 : UL booster cable with storage bag – 16 FT 6-gauage, tangle-free booster cable with a convenient storage bag. The definition for commercial duty jumper cables is not perfectly clear. What you can expect from a commercial duty jumper cable is that is going to be highly durable, like heavy duty jumpers. In addition to this, a commercial duty jumper should be longer than most and thicker. I suppose you could call these a long, heavy duty booster cable for all types of vehicles – including semis, buses and other really large diesel engines. Basically, they should be the highest quality and most versatile jumper cables and of course, more expensive than most. The FJC 45255 jumper set meets all of these criteria. Really impressive jaws (rated for 800A) with thick rubber grips certainly testify to the serious intent with which these cables are made. They it uses 1 Gauge copper coated aluminum wire, but just by looking at them, this isn’t the case – they’re quite a lot thinner. What I think they’re saying is that the aluminum wire offers the equivalent conductivity (amp rating) as a 1-gauge standard copper wire. Regardless of this, these commercial duty jumpers will certainly boost charge any vehicle – even large diesel engines. With a reach of 25 FT and super durable insulation, they are up for any task under any conditions. Another question that many people seem to be asking is: “What is a portable jump starter?” Well, in short, these are jumper cables that come with a rechargeable battery. So unlike regular jumper cables, you don’t need another vehicle to help start your car when the battery runs flat. Portable jumps starters are the most convenient solution to get your car started in an emergency. They differ greatly, with some being suitable only for small cars and others being powerful enough to start a large pickup or SUV. Because they have an internal battery, many portable jump starters will have extra features like lights, either to be used as a flashlight or some may have emergency warning lights to warn other motorists of your presence. Some even have a compressor to pump your tires. It goes without saying that you’ll be paying considerably more for an automatic jumper than you would for jumper cables. Then again, it’s a completely different kettle of fish. Cables will stay flexible in the coldest weather. The cable will stay flexible in the coldest weather. With the same name as the legendary F1 driver, we’d expect this portable jump starter to show some kind of extra performance. Well, it does. It looks like something out of a sci-fi movie and does a whole lot more than just boost jump starts a car. This is more like an all in one emergency backup machine. So it will jump start your car using a really powerful 12V battery with pretty impressive looking jaws that easily clamp to any battery – whether top or side mount. 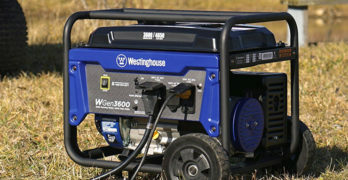 It has a peak capacity of 1200A and when boost (cold) starting it will deliver 185A. It also deflates and inflates tires using a built in 150psi air compressor. A digital display will show you the battery charge level, so you always know where you stand. So that’s pretty impressive for a portable battery jumper, right? But there’s more to this little machine than just being a fantastic jump starter, it also has a built in 400W inverter with two 120V household outlets, a USB port, and a 12V charging port. This means you can even use it to keep your lights and small appliances powered up during a power outage. Now that’s really impressive. It has a well-designed carrying handle and weighs 23LBS – most of this weight is due to the sealed lead acid battery. It’s really portable with a height and depth of 11.75” and a width of 12”. So the Schumacher XP2260 is a versatile and compact battery jumper that also pumps your tires and supplies AC emergency power – that’s really great. It comes with a 1-year warranty. More than a jump starter, can also recharge your smartphone or tablet. ✓ View or download the MANUAL or the BROCHURE for the NOCO Genius Boost Plus GB40. The NOCO Genius Boost Plus GB40 may not have an inverter (most jumpers don’t) but there are plenty of other reasons why this portable battery jumper will catch your eye. It’s superbly compact and won’t take up much space in your trunk (6.6” X 3.2” X 1.7”). Don’t for a second think that, because it’s so small, the NOCO Genius Boost Plus won’t do the job. This is a clear cut case of dynamite coming in small packages. With 1000A boost charge, it’s able to instantly start a gas engine up to 6-liters or 3-liter diesel engine and you’ll get up to 20 starts from a single charge cycle, thanks to a seriously powerful 12V lithium-ion internal battery. This has a few other great features, beyond being an exceptionally good jump starter. It has a bright (100 lumen) LED flashlight with an SOS function. It also has a 1.2A USB output for charging cell phones, tablets, and other similar devices. You charge the unit’s internal battery with a USB charger and, for this, it has a USB input alongside the USB output. It also has a 12V output. LED indicator lights show the level of the battery charge at a glance. Another cool feature on this battery jumper is the use of spark-free technology. There’s no risk of dangerous arcing when the heavy-duty jaw clamps come close to each other, the battery terminals or the body of your car. This makes it one of the safest and easiest battery jumpers to use. This will be your best friend when you need a jump start. The battery jumper cables are not very long, the distance between the two jaws, with the cables extended, is 23”. This really isn’t an area for concern, though, because the NOCO Genius Boost Plus is small enough to place directly (and safely) on top of your battery. So you’ll be able to reach both terminals of your battery easily and conveniently. Definitely, one of the easiest to use portable battery jumpers that you’ll find, anywhere. It’s small and light enough to carry in one hand and fits in anywhere. You can easily place it safely in your engine compartment to boost start your car and have light while you’re doing so. It comes with a durable storage bag and has a 1-year limited warranty. 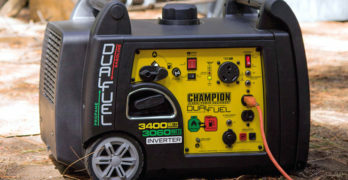 One of the most popular, affordable and best Jump Starter for consumers: 1000 Peak/500 Instant Amps, plus it includes a 120 PSI Air Compressor. Great value for the money. Can even start V8 engines. Stanley is one of those brands that has been around since before grandad was even a twinkle in his father’s eye. The Stanley name has a solid reputation for reliability and durability. So you can expect many years of great use from the Stanley J5C09 portable battery jumper. It also has some fantastic additional features to sweeten the deal. Starting any car, SUV or pickup won’t be any hassle as it has an instant 500A boost start and 1000A peak load. You also get a 12V charging outlet as well a USB outlet for charging any device. The Stanley J5C09 includes a 120psi air compressor with a heavy duty brass tipped SureFit nozzle to pump your tires, making it a perfect roadside emergency standby unit for any vehicle owner. An LED flashlight with 270° rotation, adds to versatile multi-functionality of this cool device. It has a really great and sturdy design with a conveniently placed soft grip handle for carrying it and neat, yet easily accessible storage for the battery cables and compressor pipe. A comprehensive control panel offers you all your outputs nicely clustered together and LED indicators for the battery charge level. It also has a reverse polarity warning and you can change the polarity by simply turning a dial – both safe and incredibly easy to use. Very easy to use with a nice variety of features, the Stanley J5C09 is a wonderfully practical device. What’s more, you get the assurance of quality that comes with the Stanley brand and a 1-year limited warranty. Also checks your alternator to make sure it’s working correctly. When it comes to DeWalt equipment, I always get a little more excited than I would with any other similar product. It’s really hard to beat the rugged design of DeWalt machinery and the DXAEJ14 is no exception. An extremely practical and durable design is evident from your first impression. 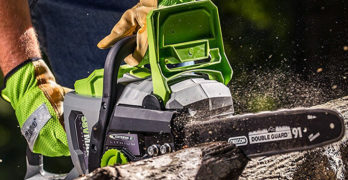 The way the battery cables wind neatly around the sturdy base and the heavy-duty jaws that fit into perfectly designed slots for the best storage possible, is just so typically DeWalt. It’s simple, uncomplicated and probably the best way to make sure your cables don’t tangle or hook on anything. LCD screen readout provides real time information. Despite being a small battery jumper measuring 11.8” X 6” X 13” and weighing 19LBS, the mighty little DeWalt DXAEJ14 packs quite a punch. With 700 amps available instantly it will start even large diesel engines in a flash. It will peak at an impressive 1400A. It also has a 120psi digital compressor with an auto stop function. Something I haven’t found on any other portable battery jumper is DeWalt’s unique alternator checking function. This is more valuable than you might think. When your battery runs flat, there’s no quick way of telling whether the alternator isn’t charging properly or if the battery might need replacing – the DeWalt DXAEJ14 does this for you. A really cool, backlit, LCD screen gives you accurate information that’s easy to read and uncomplicated. It also has touch button controls for all its functions. Two 3.1A USB outlets are also included. 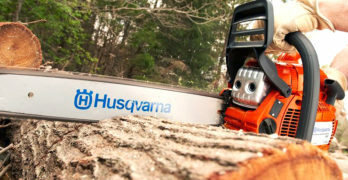 It has a lot of sophisticated electronic functions built into the machine that, instead of being complicated to use, actually make things much simpler for you. In true DeWalt fashion, the DeWalt DXAEJ14 is a fantastic piece of modern engineering. 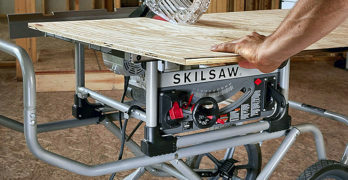 Excellent quality, combined with ease of use and great features always make DeWalt products a real winner in my eyes. It comes with a 1-year warranty. Deciding between jumper cables and a portable battery jumper is mostly a question of how much you’re prepared to pay. It’s quite obvious that a portable battery jumper is advantageous. Not only can you start your car without any assistance, but all the portable battery jumpers in this review come with a number of extra features that will make your life a lot easier. On the other hand, straight forward jumper cables are much more affordable. When considering your options regarding jumper cables, it’s very much a question of what size jumper cables should you get. We’ll cover this question a little further down the page. Through the course of this article, quite a number of your questions around jump starting your car have already been answered. Though there are a few questions that still need to be answered, starting with the all-important one: How do you jump start a car? So it’s time to answer this question and all the others that you may still be asking. A lot of people experience some degree of apprehension when jump starting a car. I think this is mainly due to those movie scenes where the villain attaches jumper cables to a car battery in order to electrocute our action hero, in an attempt to extract information from him. You need to know that is all a part of Hollywood license. You cannot electrocute yourself with a 12V battery, the international standard for a voltage that’s considered hazardous is 50V. Even then, it’s not all that dangerous – voltage only really becomes lethal when it starts exceeding 100V. There is something that you have to be careful of, however – and this is very important. In these movies, you usually see the guy rubbing the battery cable jaws together, causing huge sparks and a scary crackling noise – this is real and is the number one cause of damage or injury when using battery jumper cables. The sparks are as result of a short circuit between the positive and negative poles. To give you an idea of what kind of power we’re talking about, I’m going to throw some numbers out there that will put the amp power of your car battery into perspective. A 12V plasma cutter set at 250A can cut through metal that’s a few inches thick. When a car battery is short circuited the current will climb as high as 2500A – ten times that of a powerful plasma cutter. You can just imagine what kind of damage this can do to your car or, even worse, yourself. Now there’s no reason to be alarmed. If your jumper cables or portable battery jumper is in good working condition and you use them correctly, you’ll be perfectly safe. So let’s see what you need to do in order to make sure that you do this properly. Remember that polarity is important, connecting the positive of the battery to the negative of another battery will harm both batteries. Always connect positive (+) which is usually marked in red to the positive terminal of the corresponding battery. The same goes for negative (-), usually marked in black. Make sure that your jumper cables are in good working condition at all times. This means checking that the insulation is not damaged, exposing the conductive wire inside. Also, make sure that the wire is securely connected to the jaws. Before you can use jumper cables to start your car, you need a second car with a working battery. So you’ll need someone to assist you. Park the functioning car in a position that allows the batteries of both cars to be as close to one another as possible. Make sure that both cars are switched off and placed in park or neutral with the parking brake engaged. First connect the red jaw clamp of the jumper cable to the positive (+) terminal of the flat battery and the other end to the positive terminal of the working battery. This is the best way to prevent a short circuit. Remember that most cars use the body of the car as a conductor for the negative pole. This means that the entire vehicle is negatively charged. Touching the body of the car with a positively charged jumper cable will cause a short circuit. Follow the same procedure with the black jaw clamps connecting to the negative (-) terminal on the battery. It can sometimes be easier to connect the negative jaw to the body of the car with a flat battery. If you’re going to do this, make sure you connect it to an unpainted surface. Don’t let the insulation on the jumper cables touch a hot engine. This could melt the insulation and cause a short circuit. Once you’ve connected the jumper cables correctly. Start the functioning car. Press down on the accelerator slightly and allow the revs to climb a little (1500 – 2000 RPM). Hold the revs at this point for a few seconds and then release the accelerator allowing the car to idle normally. Start the car with the flat battery while the jumpers are still connected. If the car fails to start, wait a few minutes and then try again. Once the car is started, don’t switch it off. The engine needs to run for at least 15 minutes to recharge the battery. Carefully remove the jumper cables from both batteries, taking care not cause a short circuit. This means avoiding contact between the two jaws and between the positive jaw and the body of either vehicle. If you’re using a portable jumper, you need to observe the same safety precautions as you would when using jumper cables. A portable jump starter is easier and safer to use. You don’t need a second vehicle to assist you and the risk of a short circuit is greatly diminished if you follow these steps properly. 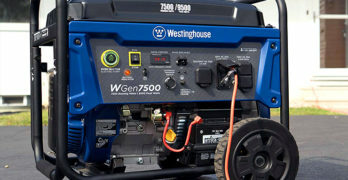 Always leave the portable jump starter switched to the off position when connecting or disconnecting it from the car’s battery, this will ensure that you never experience a short circuit or arcing. With the ignition of your car switched off and battery jumper switched off, connect the positive (+) jaw of the battery jumper to the positive terminal of the car’s battery. Connect the negative (-) jaw of the battery jumper to the negative terminal of the battery or an unpainted surface of the car. Ensure that the insulation of the cables doesn’t touch a hot engine, this will melt the insulation and can cause a short circuit. Once you’ve connected the battery jumper correctly, switch it on and then start your car. If your car doesn’t start instantly wait about 15-seconds and then try again. Once the car is running, switch the portable jump starter off and disconnect the jaws from the battery. What size jumper cables do you need? While the length of your jumper cable is important to make them easier to use, your thickness or gauge of the wire is most important to you. A longer cable means that you’re not limited when the battery positions of the two vehicles are far apart. However, your gauge will determine how many amps the cable can deliver. Also remember that the resistance of the cable increases as you increase the length, so a longer cable will have to be thicker in order to handle the same amperage. So you’ll be choosing the right jumper cable based on its amp rating vs its length. The table below shows what AWG gauge cable is required in relation to their length and amp rating. This is for copper wire. Of course, this information isn’t worth much unless you know how many amps your starter uses. So this brings us to our next question. How many amps does a car need to start? You’ll never get a completely accurate answer to this question. The amps required to start a car will depend a lot on the weather conditions (you need more amps in cold weather), as well as the condition of your car and its wiring. We can give you a basic indication of how many amps your starter motor will need in to crank the engine, based on its engine size. Remember that a diesel engine will require almost twice as much current to start compared to a gas engine. So if you’re looking at a diesel engine, double the amp rating that I give for a gas engine. Because you can’t be sure exactly sure how many amps your engine will need to start, it’s always a good idea to buy jumper cables that are thicker rather than taking a chance on a gauge that’s too thin or just within limits. Looking at the size of the battery is a quick way of deciding what gauge jumper cables you need. The larger the battery, the thicker the jumper cable you’ll need. The smallest starter motor that you’ll find on a car will typically draw 40A-50A, this would be for a really small 1000cc-1200cc 4-cylinder engine. A two-liter 4-cylinder engine will need about 80A-100A. When you go up to a typical 6-cylinder engine (3-4-liter), you’ll be looking at 150A-200A. A large V8 engine will need about 250A to start and this can be as much as 300A for a particularly large engine. Not many cars, pickups or SUVs go over 200A to start, so most people can work on this as their maximum. There’s no real time limit as to how long a car battery will last. It depends to some degree on the quality of the battery, but all batteries have a predetermined number of cycles – this is how many times the battery can be fully discharged and then charged before it will no longer work. So the lifespan of your battery is determined, mostly by how many times you start your car. There are factors that will reduce the expected life of your battery. Heat will cause a battery to deteriorate quicker, so in hot climates, or if your car has been overheating, your battery won’t last as long. Leaving a battery uncharged for prolonged periods is the most common cause of deterioration. VIDEO | When do know to replace your car battery? It’s advisable to drive your car for at least 30 minutes twice a month or more. If not, use a battery charger to charge your battery every 2-3 weeks. Most car batteries are maintenance-free, so you don’t have to check the water and acid levels. If your battery isn’t sealed (it has openings at the top to check the water level), you’ll need to check the water about twice a year. The water level inside your battery should always cover the lead fins inside the battery. Acid level should only be checked by a professional. Even if your battery is maintenance free, all batteries last longer if placed on a maintenance charge cycle about once a year. Many battery chargers have this function. A maintenance cycle basically discharges the battery completely and then charges it back to full immediately. This helps to keep the electrolytes active. No matter how well you treat your battery, it’s going to need replacing at some point. If your battery is continuously running flat it may need to be replaced. Though it’s important to make sure that the fault lies with the battery and not the alternator. So always check the alternator first. If your alternator light burns continuously, it’s likely that there’s a problem with the alternator. You can have your alternator checked by a professional but a basic test is quite easy to perform if you have an electrical multimeter – some even have an alternator checking function. If it doesn’t have this function, it’s still not too difficult to diagnose an alternator fault. Comes with a handy carrying pouch – Perfect for use while on the go. All you need to do is set your multimeter to the 20V DC voltage setting. Then place the black probe of your multimeter onto the negative terminal of your battery and the red probe to the positive terminal, with your engine running. The ideal charging voltage for an alternator is 13.8V. Anything from 13.5V-14V is acceptable. Your multimeter may not be that accurate, so allow for a reading of 13V-14V. Any voltage reading that’s lower or higher than this, will indicate a fault with the alternator. It will be either over charging or under charging. Either way, your alternator will need to be repaired or, possibly, replaced. If your alternator proves not to be the problem, then your battery most likely needs to be replaced. Any battery fitment station can test your battery for you, but you can be pretty sure that if your alternator is working and the battery keeps running flat, it’s time to replace the battery.